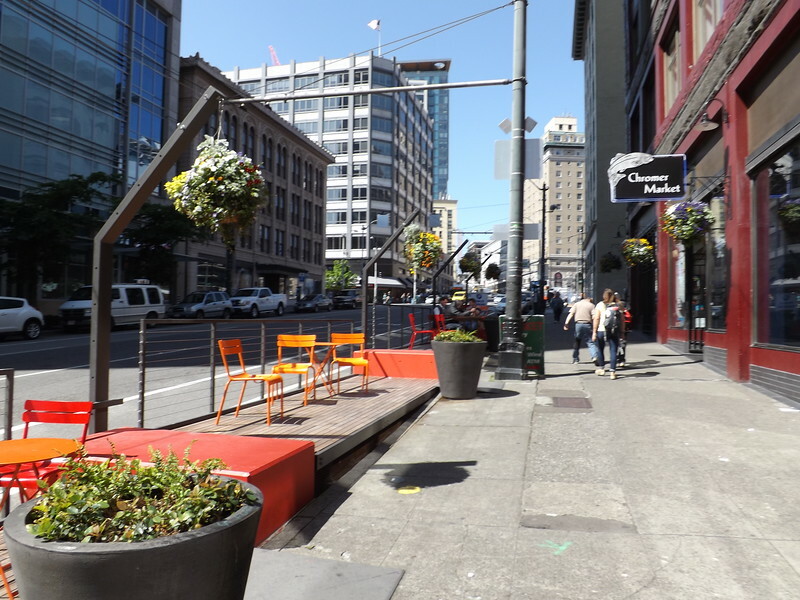 Parklets could be on their way to Downtown sooner than you know it. Usually installed on parking lanes, a parklet is an extension of the sidewalk that provides more space and amenities for people using the street. Offering a place to stop, sit, rest or eat, they can be an ideal addition and visual amenity to settings dominated by asphalt, cars and concrete. San Francisco has been credited with installing the world’s first formal parklets in 2010. Today, parklet programs exist in several cities, including Philadelphia, Phoenix, Oakland, San Jose, Dallas, Seattle, San Diego, Miami and Fort Lauderdale. A parklet in downtown Seattle, WA. Jacksonville’s relationship with parklets dates back to a 2012 collaboration between Transform Jax, Downtown Vision, Inc., City of Jacksonville, and the Cultural Council of Greater Jacksonville. That 2012 collaboration resulted in the city’s participation in Park(ing) Day; an event where parallel parking spots in downtown could be transformed into temporary public spaces by anyone and open to everyone. 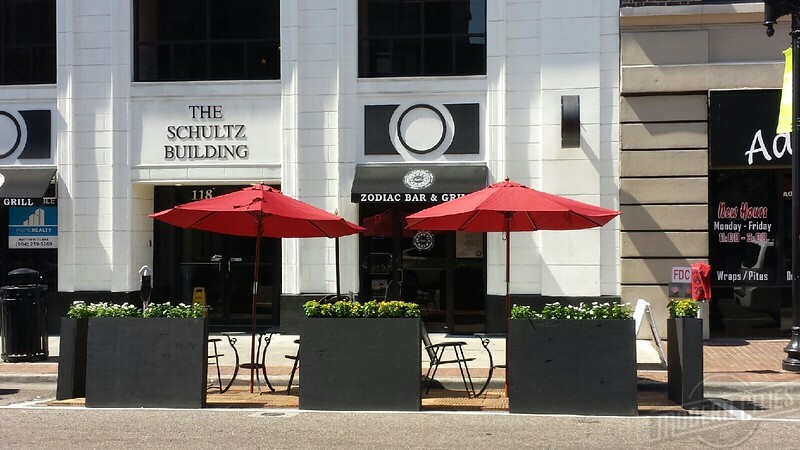 In 2014, Downtown Vision, the Business Improvement District for downtown Jacksonville, began researching parklet programs, and in 2015 secured a grant from the Urban Land Institute to help fund development of a Program Manual. The Program Manual is intended to serve as a roadmap for building parklets within the downtown district. 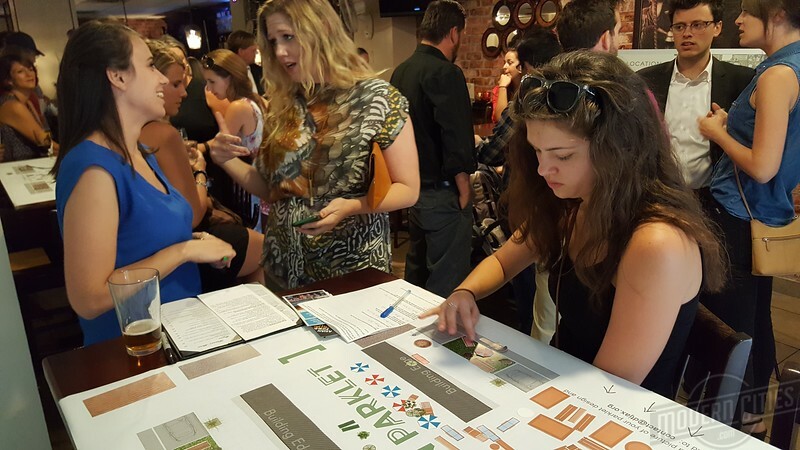 On June 2, 2016, a public meeting facilitated by Transform Jax, Windmill Consulting and Content Architecture, was held to discuss DVI’s potential parklet program. Intent on interactively engaging the public in a creative setting, the event was held at Zodiac Grill & Bar. Here, the public could enjoy a drink or dinner after work, and learn about parklets in a happy hour-style setting, including visiting several “design your own parklet” stations. Temporary parklet installed by Transform Jax for June 2, 2016 public parklet meeting. Provide businesses and the public an opportunity to see a temporary parklet in a live setting. Illustrate to business owners the positive impact that a parklet could have on sales. 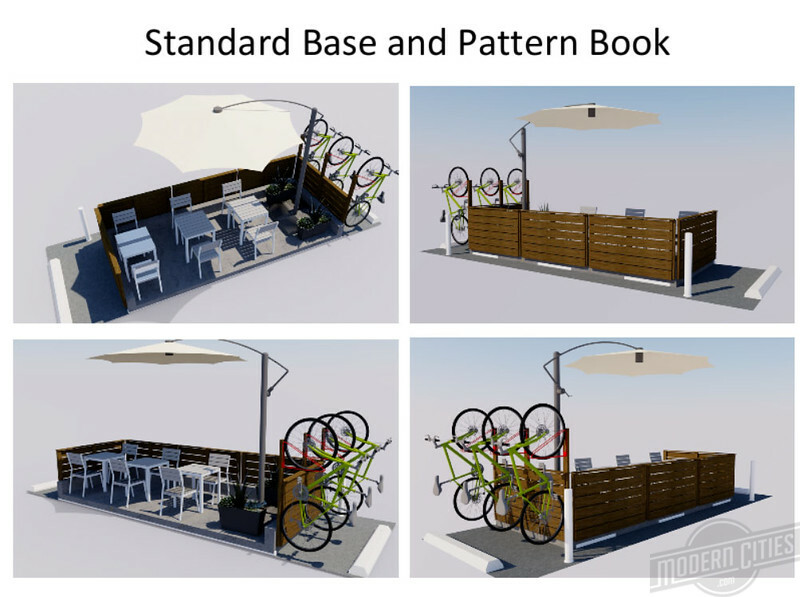 Conceptual design of a standard parklet base by Content Architecture. In the coming months, Transform Jax will continue to assist DVI, Windmill Consulting and Content Architecture in developing a process for businesses and others to obtain regulatory approval for installing parklets in downtown. Currently estimated to cost an average of $10,000, the first parklets could hit downtown’s streets as early as fall 2016. Also, feel free to take a look at the sights and scenes from the June 2 parklet meeting on the following page.